The club maintains a Junior Squad of about 60 young people. Ages range from 12 to 18. We have an excellent coaching team and a growing band of helpers, mostly parents. 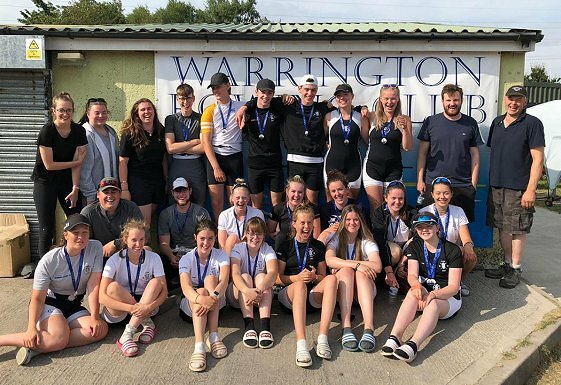 Entry into the Junior Squad is usually through our summer holiday learn-to-row courses - see the junior L2R page here - it has a form to register interest in the 2019 courses. Those who complete a course can then join the squad and would normally be racing by the next spring, if not sooner. If you have rowed before you may be able to join the sqaud without doing a course. This would depend on how many juniors we had currently active and as at March 2019 we are pretty full. But if you wish to ask about joining now (or anythng else), get in touch with our coaches at juniors@tynearc.com.